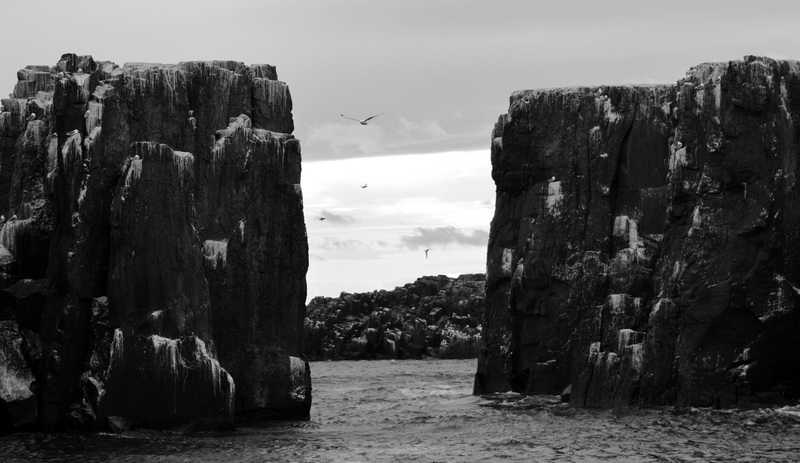 I remember visiting the Farne Islands on a school trip (and it pains me to think that this was around 20 years ago). Again, thanks to taking our classroom outdoors, I have vivid memories and can remember learning all about Grace Darling on that day. 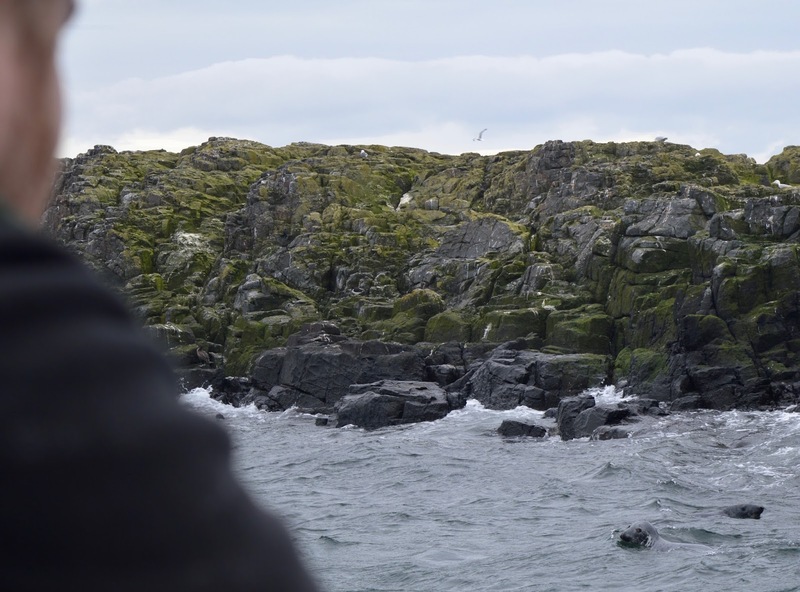 As well as a fascinating history, the Farne Islands are renowned for their wildlife and over 290 species of birds have been officially recorded on the Farnes. 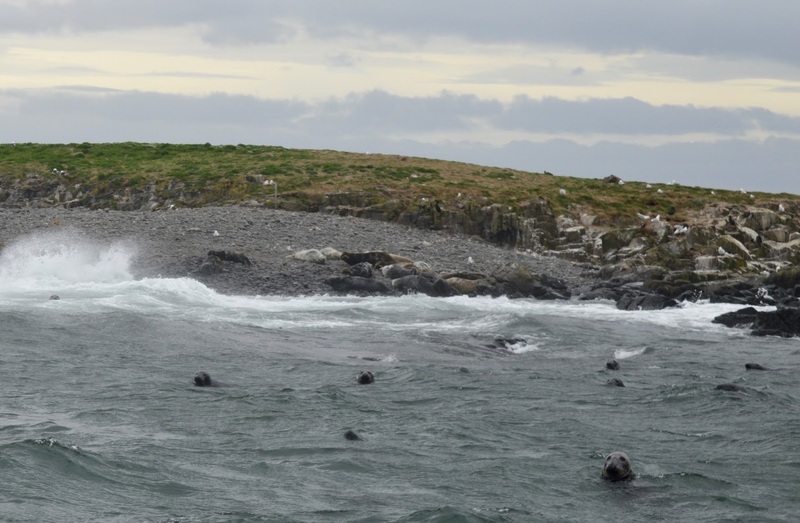 The islands are especially known for spotting puffins and are home to a colony of over 6000 grey seals. 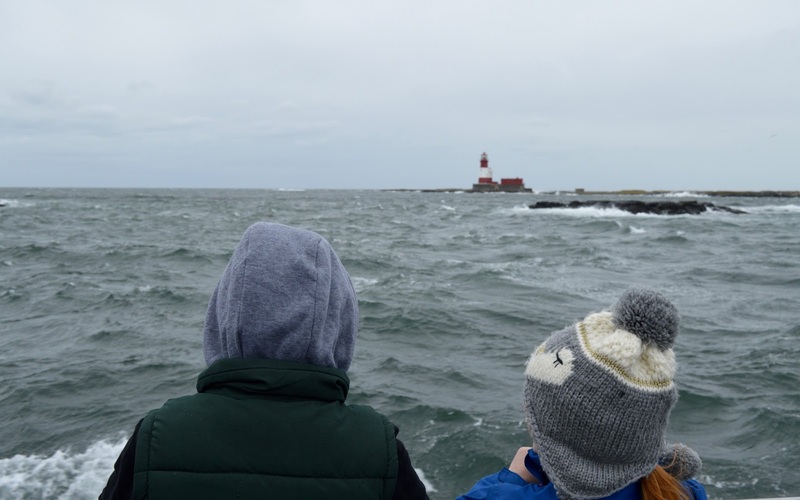 I have wanted to take my own children to the Farnes for a while now. Harry had a fear of boats when he was younger and got upset when we mentioned a trip so we'd always put it off. He got over this fear last year and we were all set to take a trip but there was a huge storm so we had to cancel. 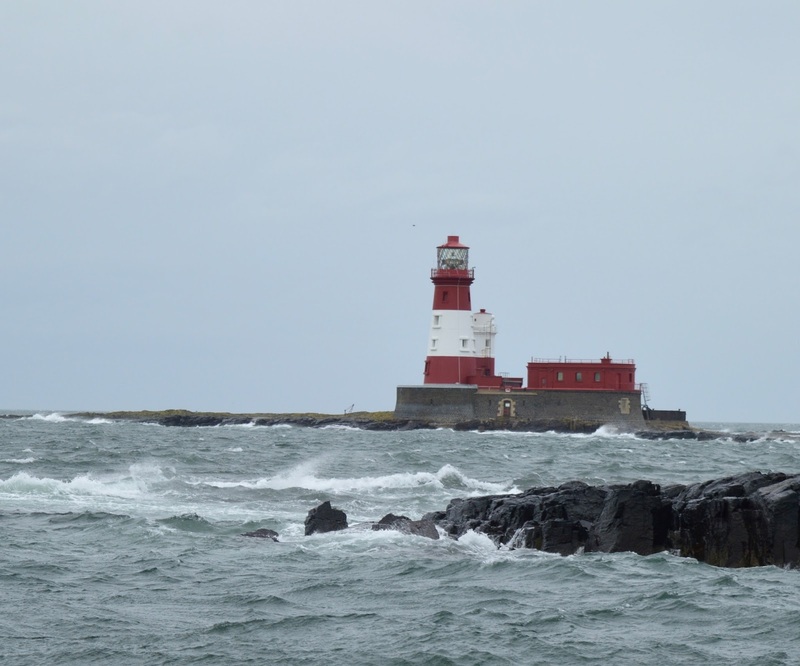 It turns out it was third time lucky for us though and during our recent stay at the Coach House Bed and Breakfast near Beadnell, a trip to the Farnes seemed like it was finally going to happen. 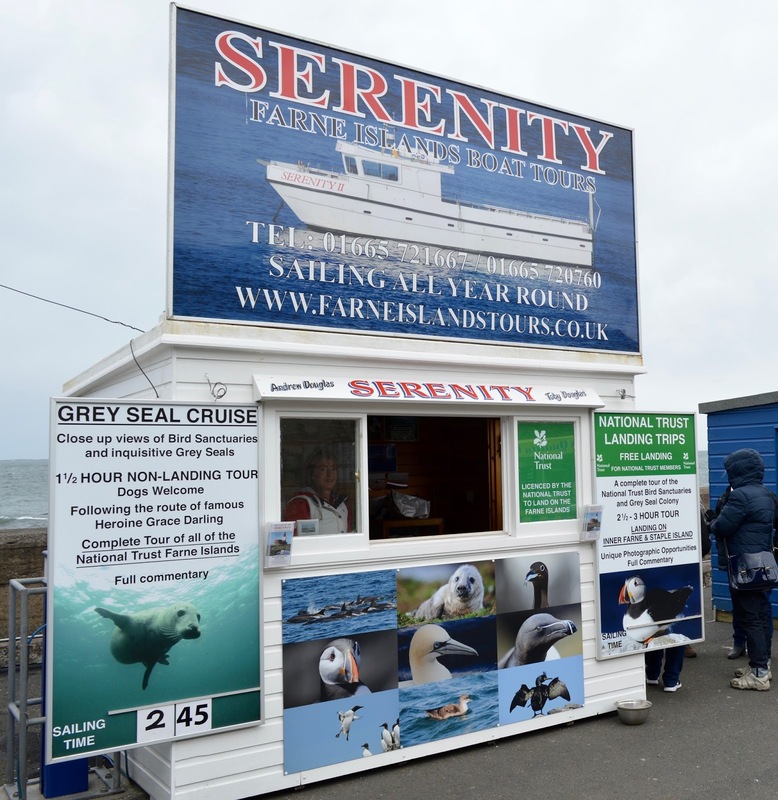 We booked the 1.5 hour non-landing grey seal cruise with Serenity Boats. 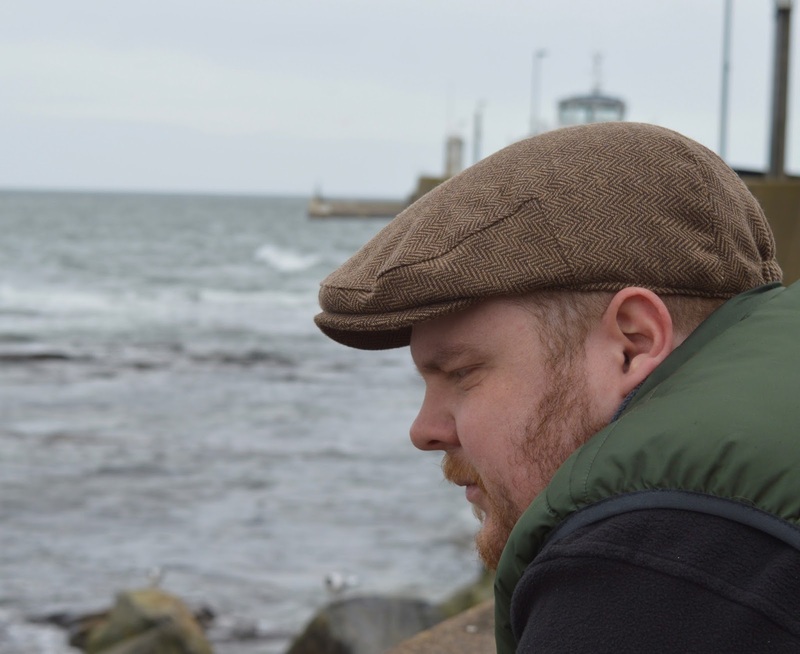 I know Andrew through blogging (check out his FANTASTIC blog here - it has been nominated for several awards and is a must read for wildlife lovers) and know that he has many years worth of experience and fully trusted him to get us to the Farnes and back in one piece. 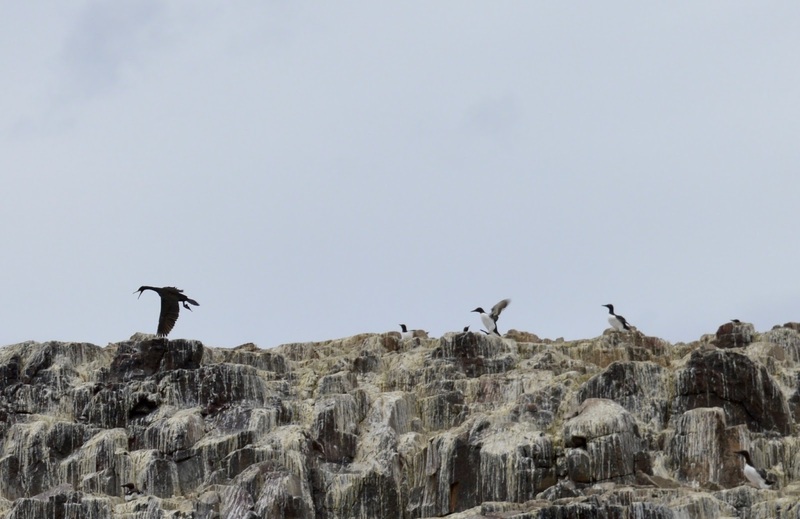 Andrew and Serenity offer various tours including options to land on the islands, whale watching trips and special wildlife photography tours or even a sunset cruise. I think as it was a first trip for the kids, a shorter non-landing tour was the best option for us. 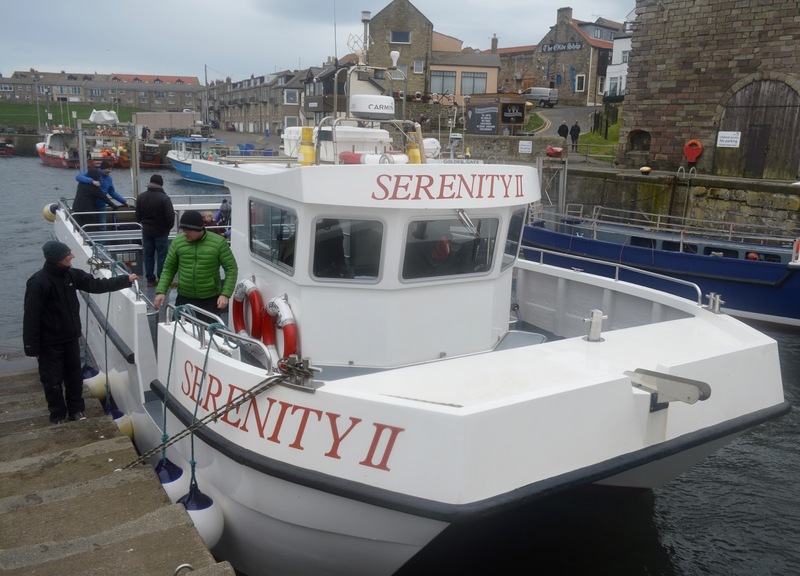 We collected our tickets from the Serenity box office at Seahouses harbour. It is best to pre-book online if you can but if you happen to be in the area, there are usually tickets available to purchase on the day too (try and get there early). 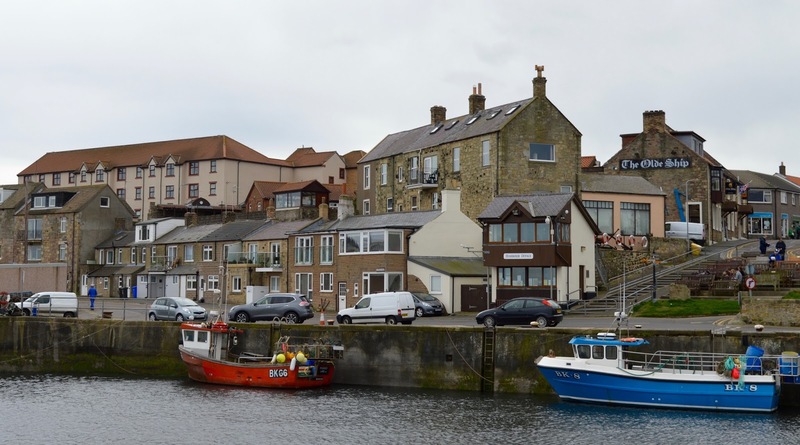 We had an hour to kill in Seahouses before our trip so enjoyed a walk along the harbour admiring the various fishing boats and Bamburgh Castle in the distance and of course stopped for some fish and chips. 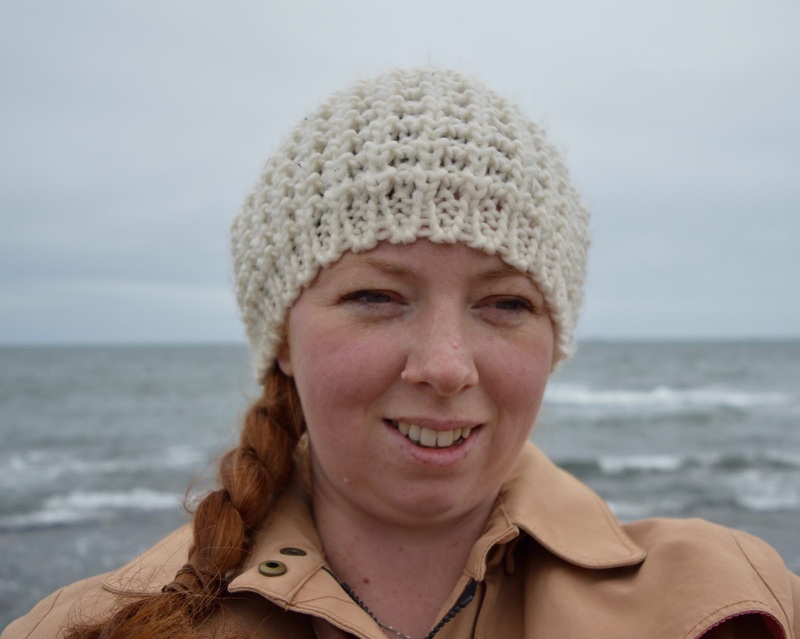 I'm not going to lie, it was a chilly April day and although we were fairly wrapped up, we were cold. The North Sea looked a bit choppy too but that didn't faze us - we are always up for an adventure! 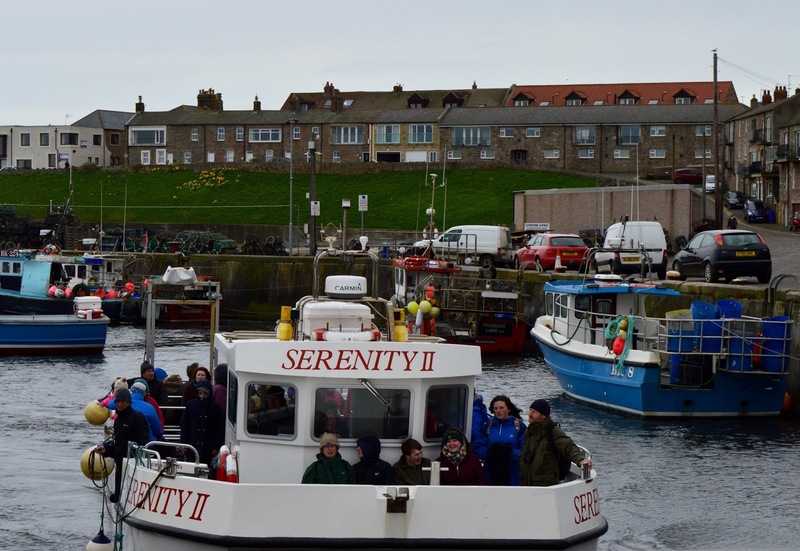 We spotted Serenity returning the previous trip from the Farnes in the distance and when the time was right, we were escorted down to the harbour. All aboard! We climbed aboard Serenity II with the help of Andrew and his shipmate. We found a seat and were tootling out of Seahouses harbour in no time. There is a safety announcement with instructions of where to find life vests ect...... to listen to first of all and then you're out in the North Sea in no time. Unfortunately for us, we picked a choppy day for a trip and I think most people on board were splashed by waves at some point. Some people who chose to sit at the back were drenched! All part of the fun though and we were assured that not every trip is like this. The kids thought it was great fun. There are between 15-20 islands (depending on the tide) to discover and it feels as if you discovering a new world. The boat can get very close indeed and we managed to watch lots of birds flying above our heads. You really are super close to the action. There is regular commentary from Andrew so you know what you are looking at too. Jack decided to name the above island 'Bird Poo Island' haha! 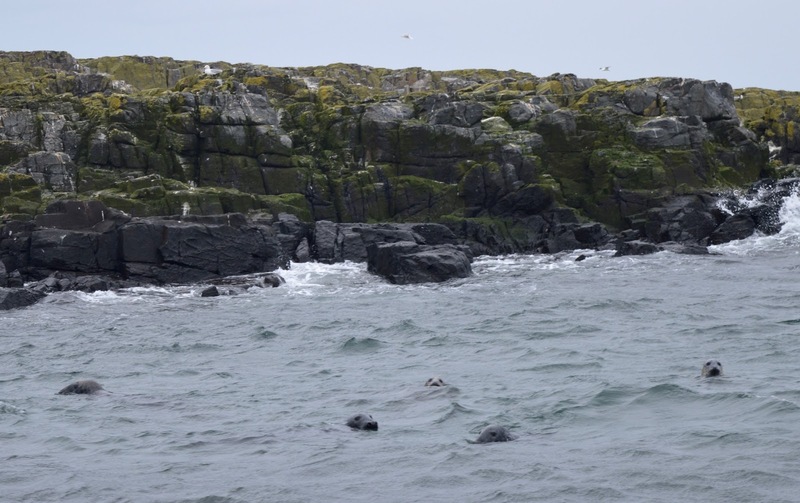 After our first set of islands, we sailed across to the next and there was much excitement on board as a few people spotted a couple of seals bobbing in and out of the water around the boat. The atmosphere was actually electric and there was a real sense of community as everyone gets excited together. Something that I did learn though is that seals are super cheeky. They love to stay above water until you are about to click your camera and then they disappear before bobbing up somewhere else. It's a crazy game of cat and mouse trying to catch a photo of them above water. 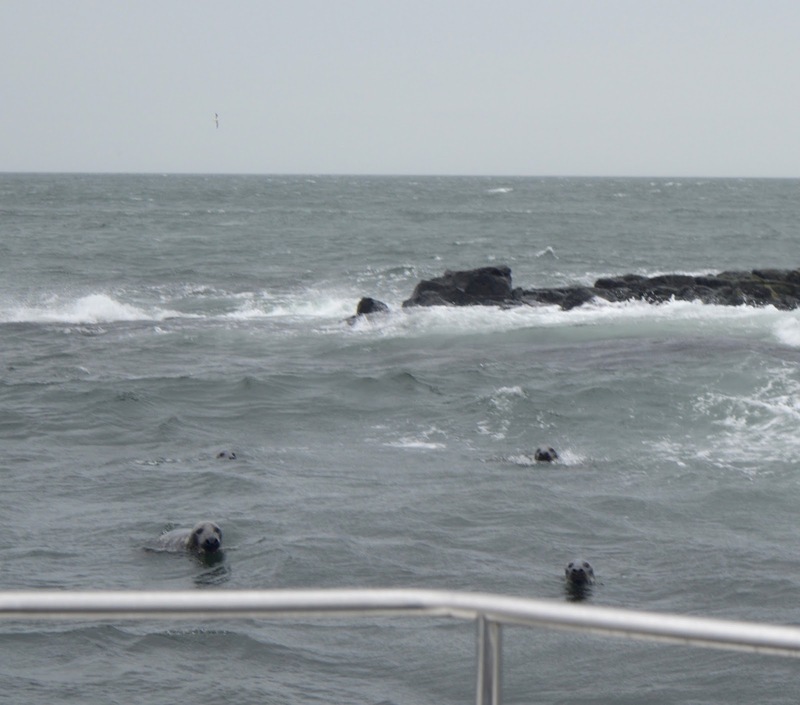 The seals get very close to the boat and as we approached another island we were surrounded! In fact they chased our boat as we sailed away. I can't describe what it feels like being surrounded by seals in their natural habitat. It is such a magical experience and all of us on board, both young and old loved it. There was a sweet toddler on board who could not stop shouting with delight every time she spotted a seal, it was adorable and I actually nearly cried as it was quite overwhelming seeing them all. At the other end of the spectrum, an elderly couple were snuggled sitting quietly on a seat together and taking it all in. Seals are inquisitive and fun and they were such a delight to watch. 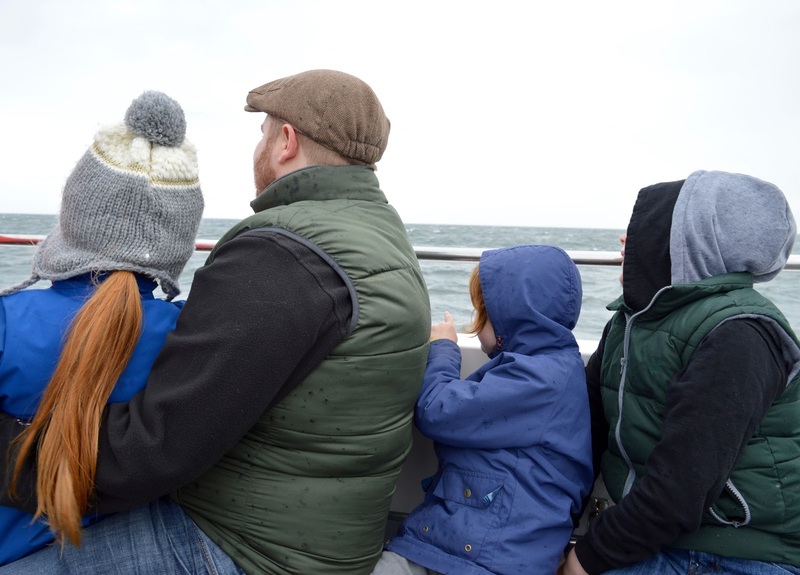 It was freezing cold on board in April and although we thought we were prepared with warm coats, body warmers and hats, I would say you can never wear too many layers at this time of year. We didn't wear gloves, in fact I had packed our gloves away for the summer! The poor kids' hands were freezing towards the end of our trip. A lovely crew member took pity on us and let the kids wear his gloves - thank you! A reminder to all who travel in future though, take gloves as you just never know! As Andrew is super experienced, he really knows what he's looking for and when he turns the engine off, you know he must have spotted something. 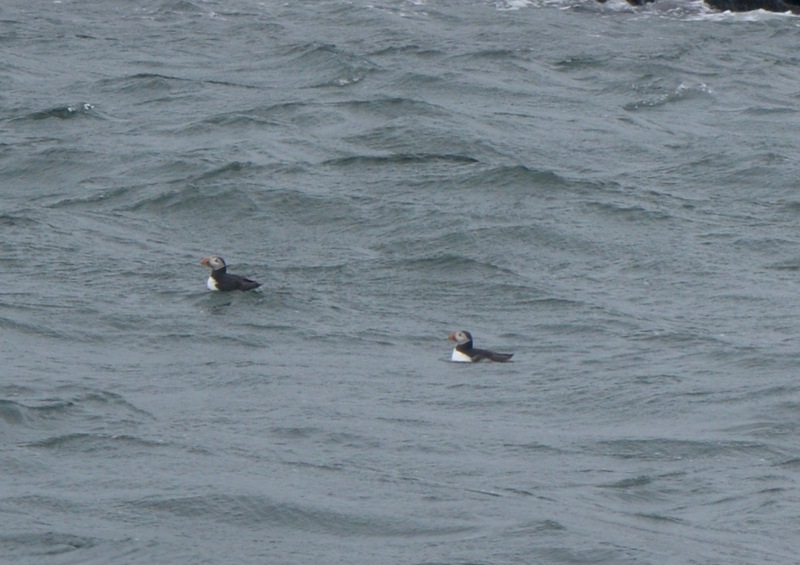 In the middle of our journey back to land, the engine went quiet and then suddenly, excitement built on board again as we spotted a pair of puffins fly above our heads and then land in the sea next to us. Ah! I nearly cried again! Puffins are just the cutest birds you will ever see. 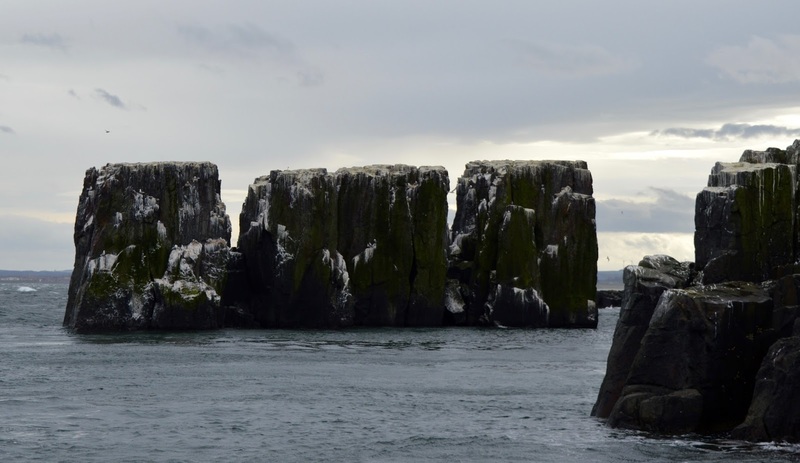 The best time to see puffins is from May-July. They start to arrive in April and leave in August so we were super privileged to see this pair. It made my month! 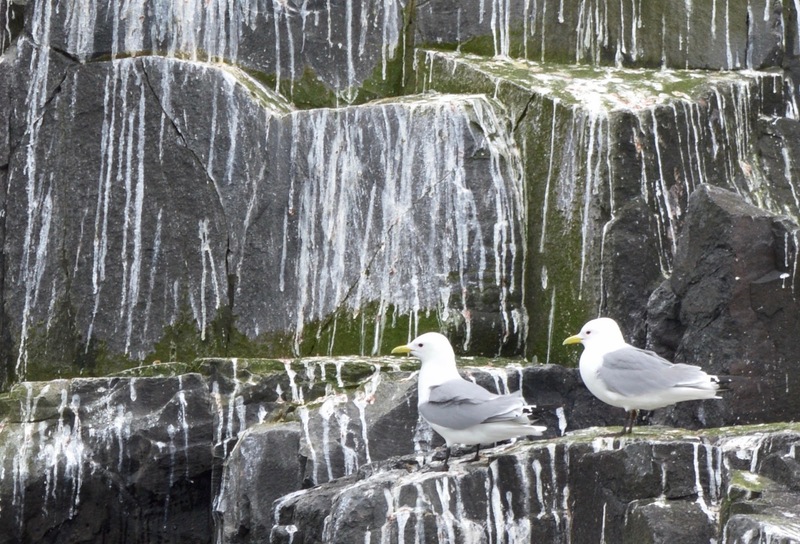 You can find out about the various wildlife you'll spot on the Farnes throughout the year here. Although our trip was only 1.5 hours long, the excitement, sea air and rollercoaster of emotions is quite exhausting. 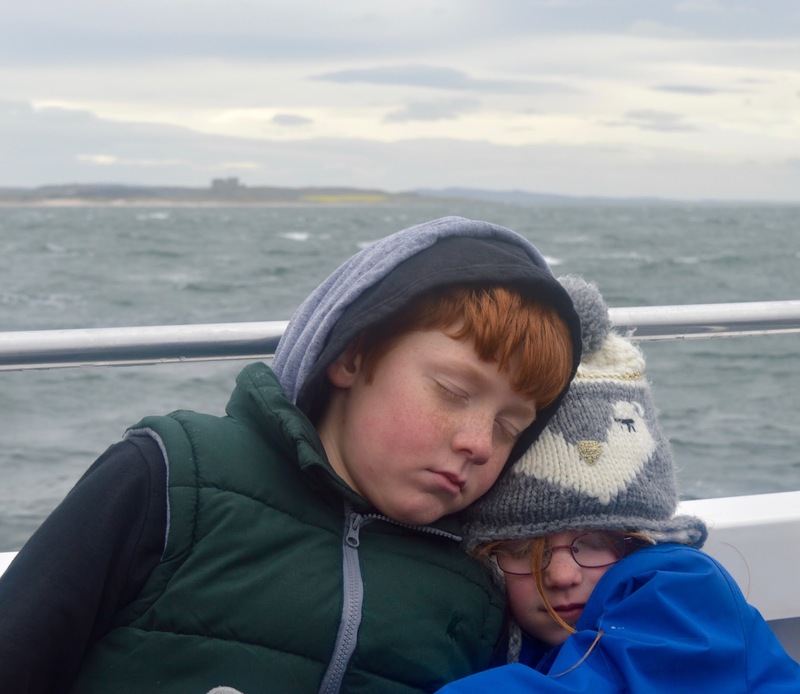 How sweet are Harry and Heidi snuggled up on the journey home with Bamburgh Castle in the background. We left Serenity with cold bodies but happy hearts. I think it's fair to say we all learned a lot and really took a lot from the experience. We ran to the car, popped the heating on and started dreaming of a hearty meal at The Craster Arms up the road to warm us up. 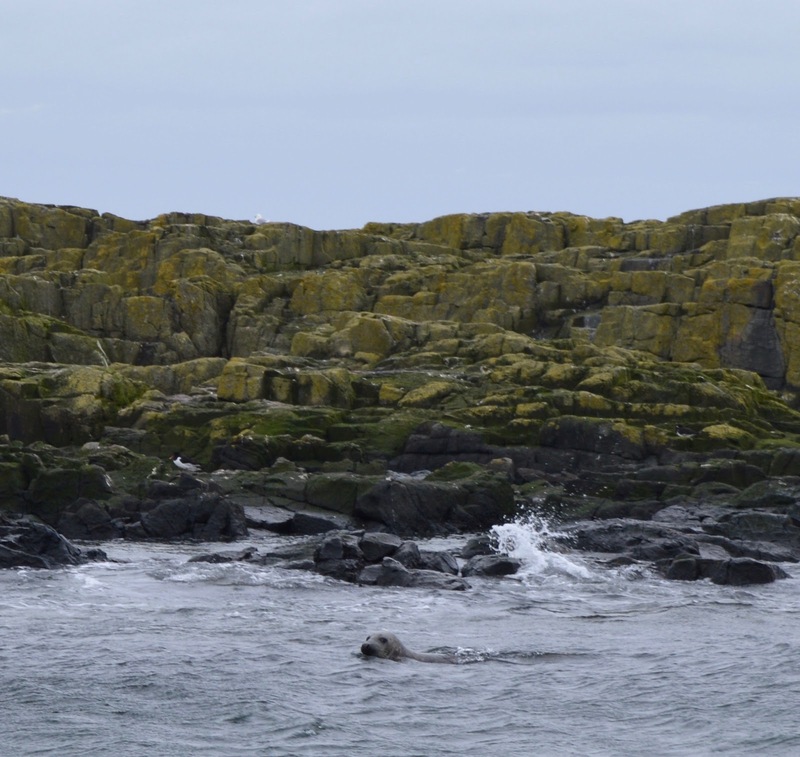 If you live in the North East, you must add a trip to the Farnes to your list of places to visit this year. I would describe it as a unique and unforgettable experience for all ages. 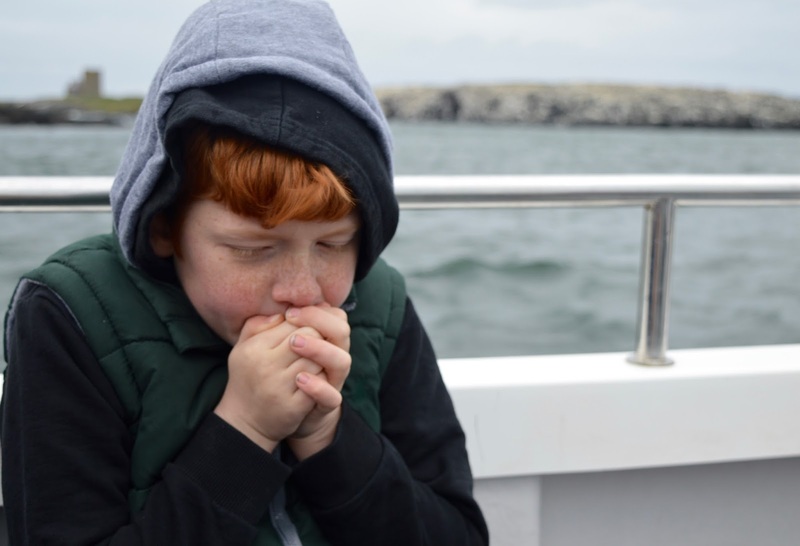 The sail around trip we enjoyed is priced at £13 per adult, £9 per child and under 4's a free. Dogs are welcome on board too. If you don't live in Northumberland, I can highly recommend the area for a fantastic family holiday and we are super dog-friendly too. Here are my other recommended places to visit while you're in the area. 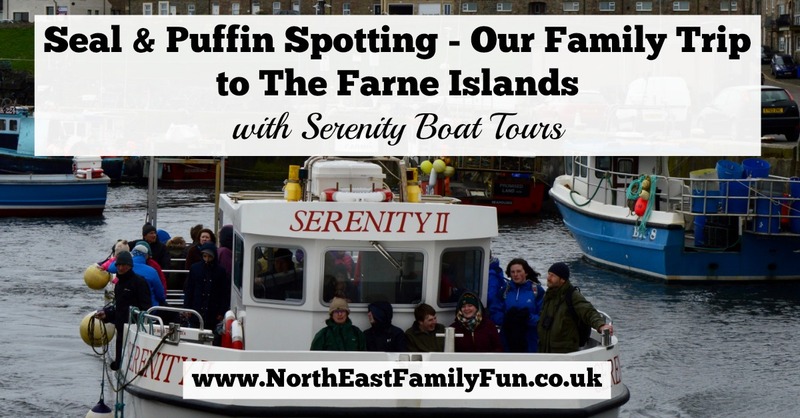 To discover more, visit the Serenity Farne Islands Boat Trips website here. OMG I can't wait to finally book a trip and go, it's been a long time coming and I really need to get on it soon before the puffins leave! I can't believe you got such a beautiful close up look at them, they're so cute!!! My mum's done this trip (she used to live in Newcastle) and it sounds magical. Apart from the bird poo island bit. Love it! haha what are kids like! This looks so good - will have to give this a go when we travel that far up north. We have a place in Hartlepool where you can spot the seals laid on the sands! I see them every day on my way home! Fab post! Looking for things to do when my sister comes to visit next month with the kids, this sounds ideal! I'd also love to go dolphin spotting so wondering if Serenity do those trips too! I've never done this trip before despite living in the NE all my life. Imogen has a bit of a fear of birds so not sure if she would enjoy it! Maybe I'll stay on land at the Craster Arms and Alan and Abigail can do it! I hope I can get up and see the puffins. We missed them last time we did a boat trip!